I had some leftover lemongrass in my fridge which inspired me to come up with a tasty recipe using it. I decided to make a marinade using soy, lemongrass, ginger, lime, garlic, fish sauce, and sesame and marinated the ribs for about 6 hours. 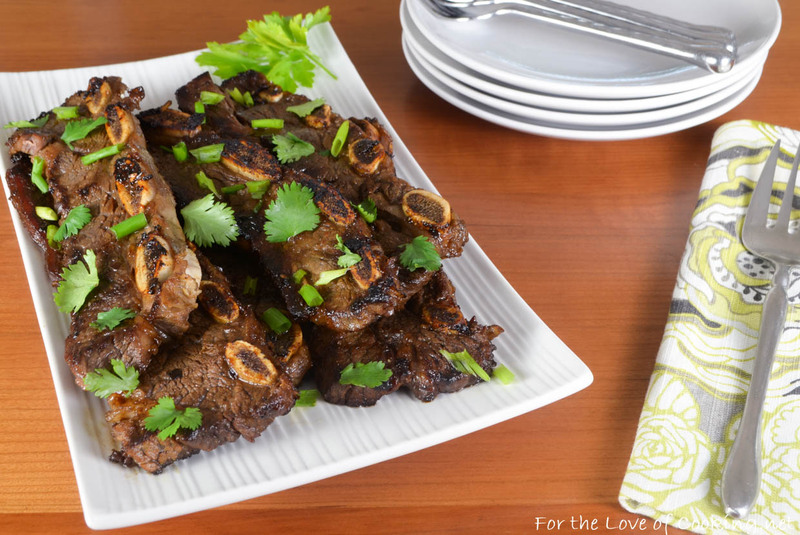 I normally broil my flanken short ribs but this time I decided to use my grill pan and they turned out so delicious – packed with a ton of flavor and the meat was tender and so tasty. I really love this marinade and can’t wait to try it with chicken and pork. 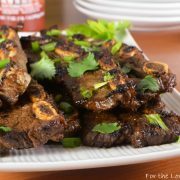 These lemongrass-ginger flanken short ribs paired very nicely with the Jasmine rice and spicy broccoli with garlic I served them with. Combine the lemongrass, soy sauce, fish sauce, lime juice, vegetable oil, ginger, garlic, sugar, and sesame oil together in large baking dish. Coat each side of the ribs in the marinade then nestle into the baking dish. Cover with plastic wrap and refrigerate for 6 hours, flipping them occasionally. 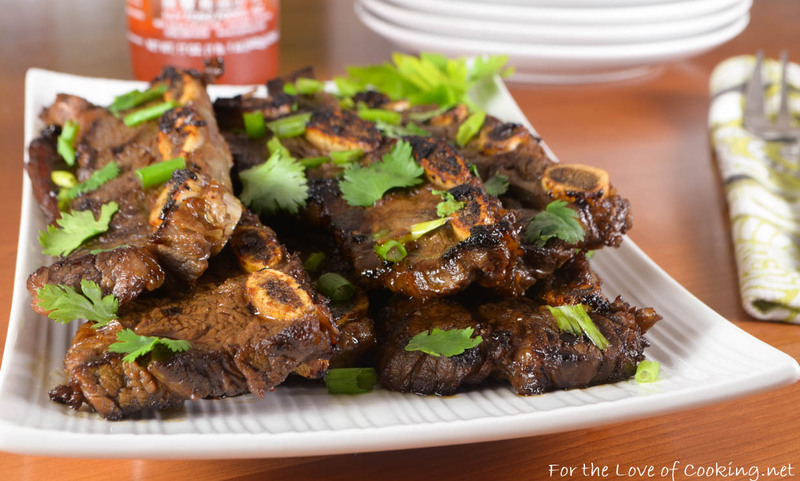 Remove the ribs from the refrigerator 30 minutes prior to cooking. Heat the grill pan over medium-high heat; coat the pan with cooking spray then, working in batches, sear the ribs until browned, 4-5 minutes per side for medium-rare. Transfer to a plate and let rest for 5 minutes. Top with sliced green onion and fresh cilantro leaves. Serve and enjoy. 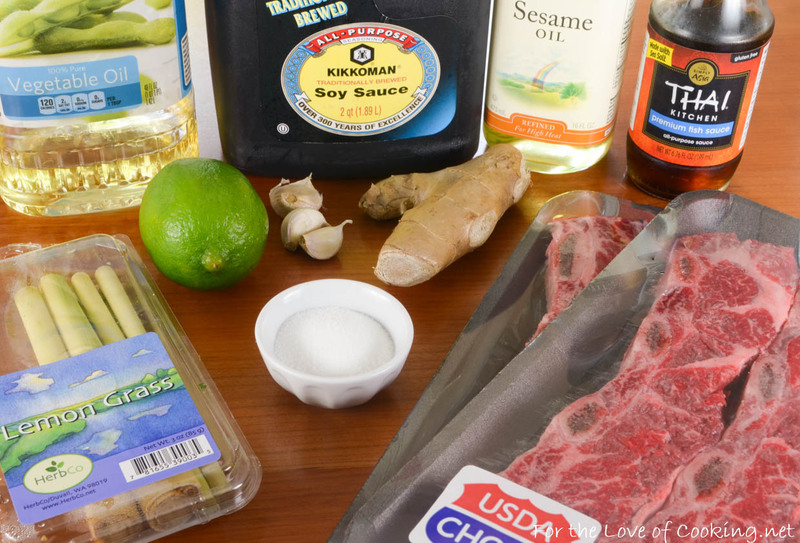 Combine the lemongrass, soy sauce, fish sauce, lime juice, vegetable oil, ginger, garlic, sugar, and sesame oil together in large baking dish. Coat each side of the ribs in the marinade then nestle into the baking dish. Cover with plastic wrap and refrigerate for 6 hours, flipping them occasionally. Remove the ribs from the refrigerator 30 minutes prior to cooking. 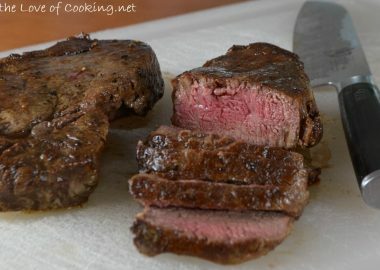 Heat the grill pan over medium-high heat; coat the pan with cooking spray then, working in batches, sear the ribs until browned, 4-5 minutes per side for medium-rare. Transfer to a plate and let rest for 5 minutes. Top with sliced green onion and fresh cilantro leaves. Serve and enjoy. Haven’t had short ribs in ages! These look unbelievably good! I like the marinade that you created. Sounds like it can be used on several types of meat. This was so flavorful. This will definitely be in our meal rotation from,now on. Incident change a thing with the recipe, it is great as written. Thanks for sharing.